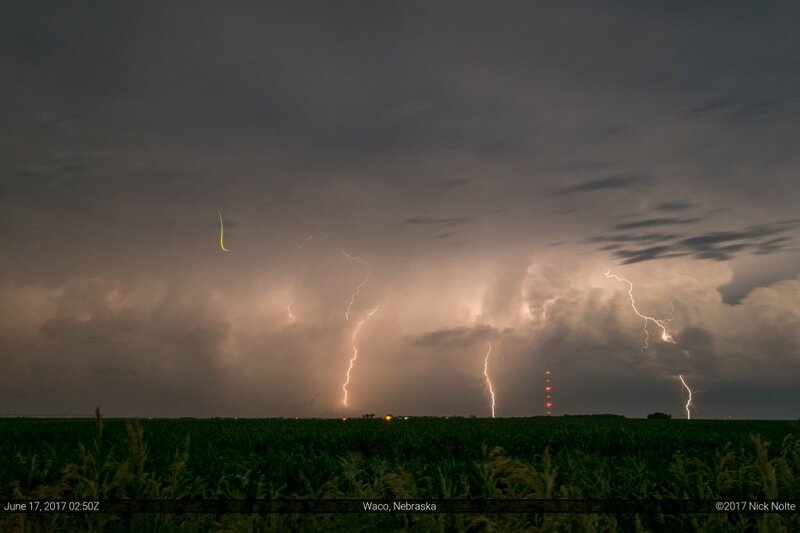 June 16th featured a surface low expected to drift across Northern Nebraska into Western Iowa while a belt of strong westerlies clipped the area at 500mb. A weak cold front stretched from Minnesota through Nebraska into Colorado. Mid 60°F dewpoints existing in the warm sector across southeastern Nebraska into Iowa but low level wind fields looked to be rather weak. To me, this made the play obvious: play the surface low. The 13z SPC outlook had a large enhanced area across the quad-state area, mostly for wind, however a 2% tornado chance was outlined in the same area as well. My initial target for the day was O’Neill so I began the trek north on US 281 from Grand Island shortly after noon. I arrived in O’Neill a couple hours later at 19z. A mesoscale discussion had been issued for most of Eastern Nebraska including along a dryline that extended back to McCook. Cumulus had begun to tower along the dryline far southwest of me and had me wondering if I’d made the wrong call for the day. It still appeared that action would develop northeastward and I still felt that the best shot for a tornado was near the frontal zone east of the low for enhanced low level helicities. On the radar a small blip had started to form literally over top of my head as I sat in town eating lunch. 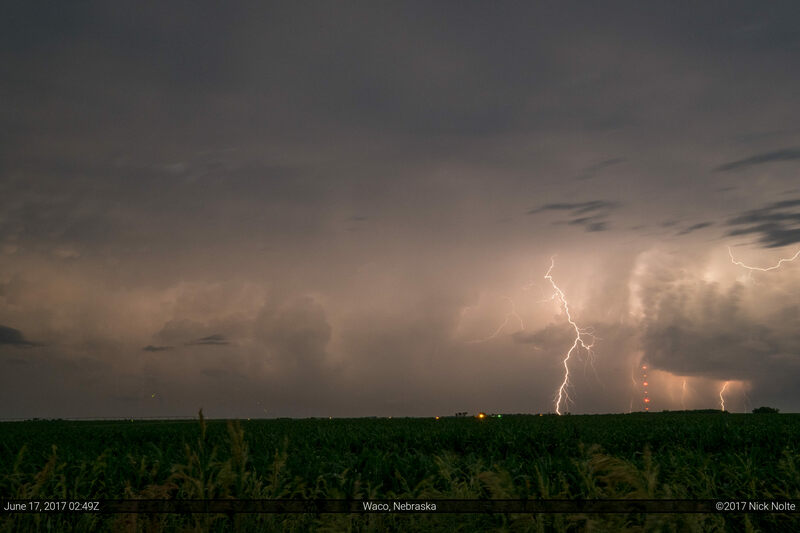 After a few scans the storm had developed a stronger core and tops over 30,000ft, so I followed it east of town. After about an hour or so a few more cells has developed and a messy cluster of storms resulted near Creighton. 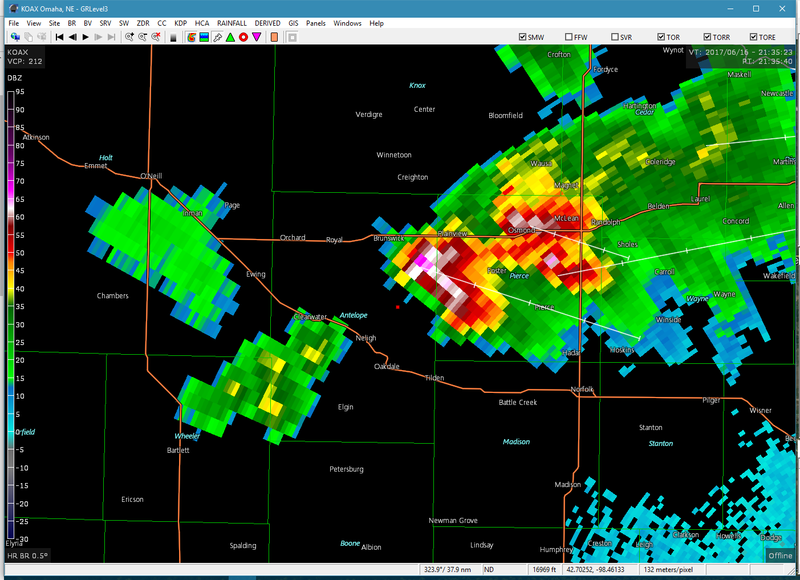 However, the rear-most cell began to deviate to the right of the mean motion as it turned towards the southeast. That became the storm to track. 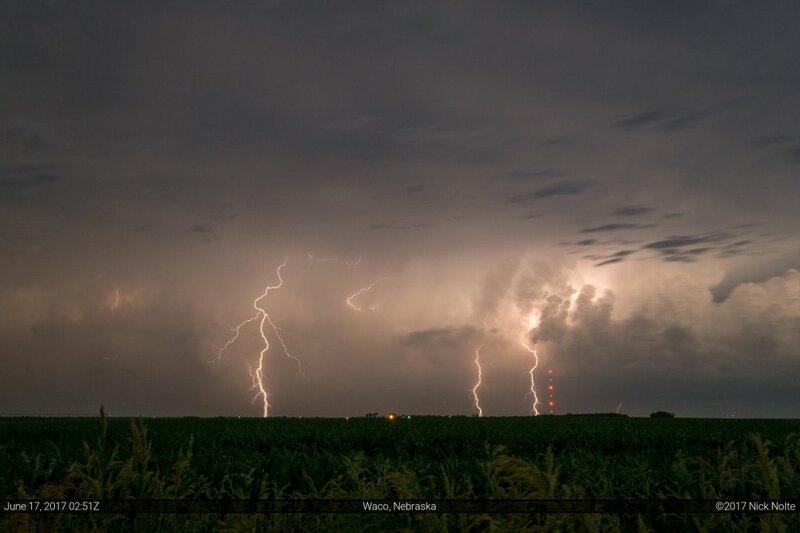 Northeast of Neligh the storm started to organize, but additional cells were going up to it’s southwest that had me concerned about interference. 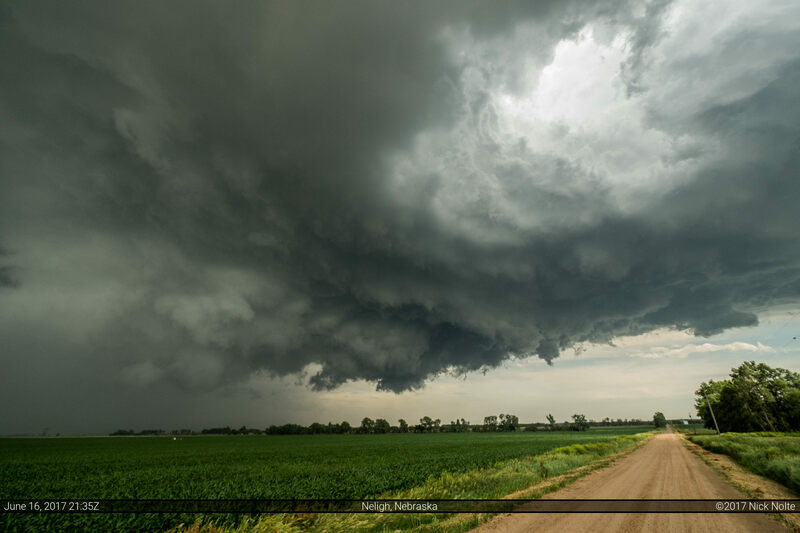 Eventually following along with the storm it went tornado warned shortly after entering Pierce county where a very large funnel developed with ground swirl debris visible along the ground. I wasn’t sure 100% if this was a tornado at the time but NCDC appears to have it logged in the Storm Events database and the Omaha weather office indicated a brief touchdown near Meadow Grove in their event summary of the day. 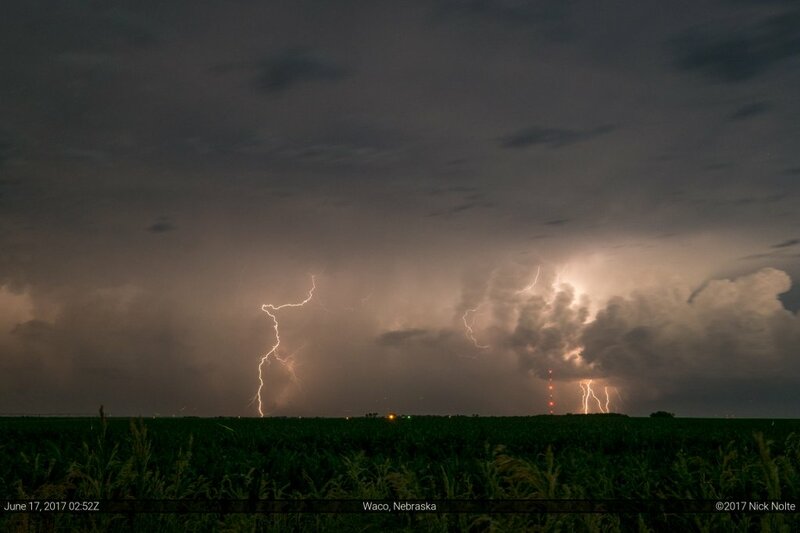 I continued to track the storm as it dove southeast toward Omaha, continuing to be tornado warned the entire way. 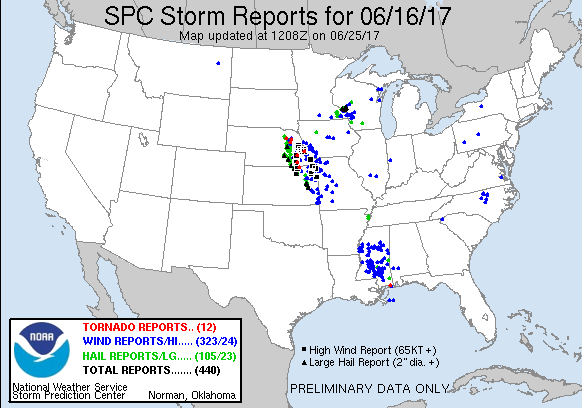 I didn’t see any additional tornadoes. I continued to follow storms until dark near Crete where I eventually let the storm roll over me before heading back towards home. 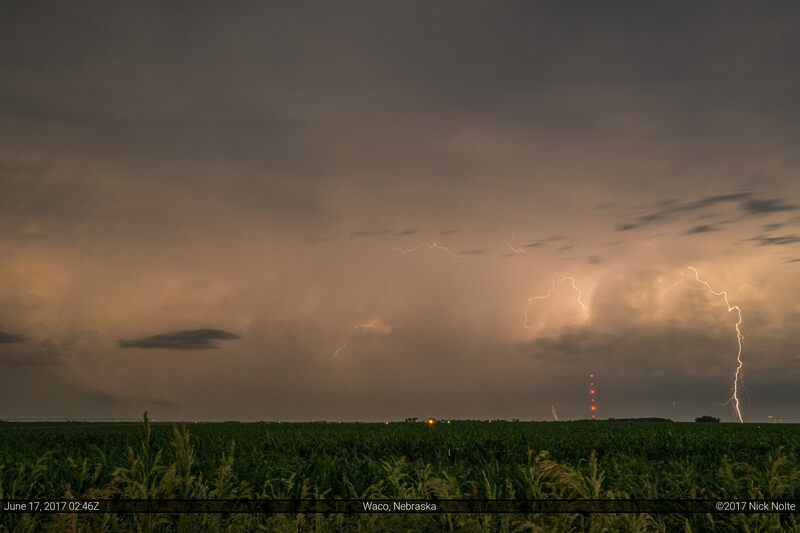 On the way home, I could continue to see strong lightning within the storm to my south and southeast and I pulled off south of Interstate 80 east of York to try and shoot some lightning. 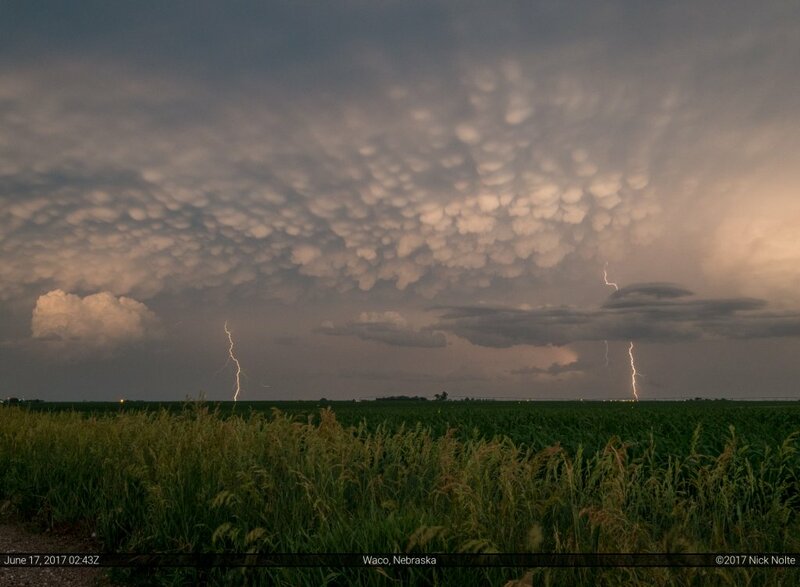 I was treated to quite a display with a mammatus foreground. Alas, no such luck. Overall a fun chase close to home with a brief tornado and a great lightning show on the way back.